Live and Silent Auctions & 50/50 raffle. Food starts at 5 pm with pork loin sandwiches, cake & ice cream. Girls’ & Boys’ basketball doubleheader vs. Davenport West. Varsity Girls @ 6 pm, Varsity Boys at 7:30 pm. Interested in making a cake for the Cake Auction on Feb. 8th? Cakes need to be at MHS Attendance Center by 4:00 pm. 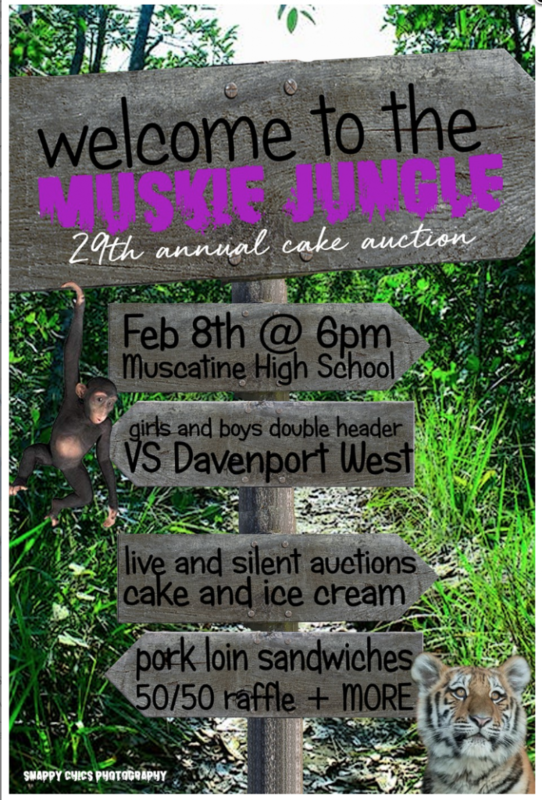 “Welcome to the Muskie Jungle” is the theme.